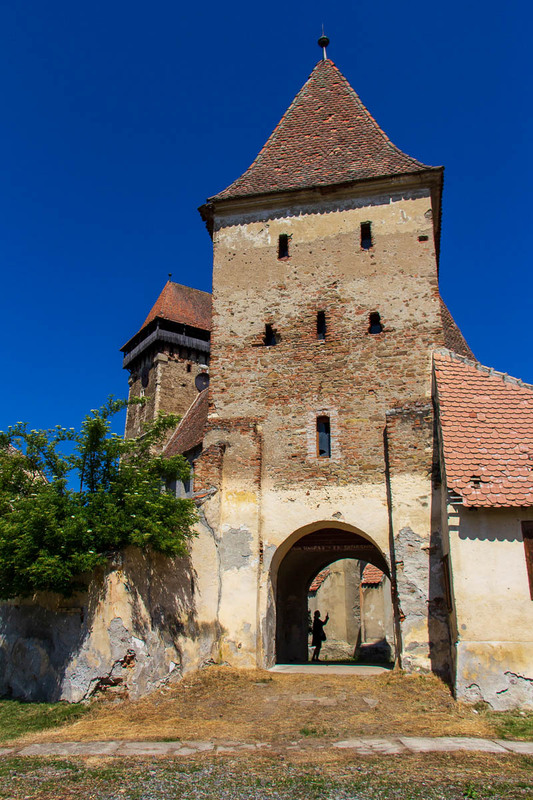 We arrived in mid-May to the small Transylvanian village of Blăjel for our next house-sitting gig. In the previous month we had been traveling through the area and scheduled a lunch to meet the homeowner and her pets in person before committing to the sit. We thought this would help prepare us for the experience. 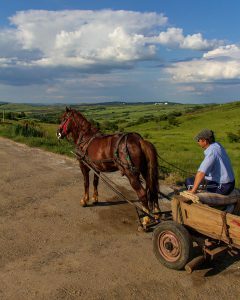 Little did we know that living in the Romanian countryside would be a bit like stepping through a time warp to a more simple time. 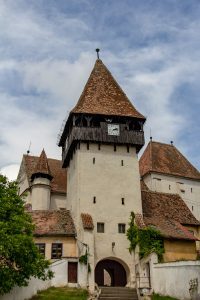 The homeowner, a Dutch ex-pat, owned two dogs and several chickens in a Romanian style house on the main two-lane highway running through the village. From the road, it looked like a smallish one story house with a gated driveway, flanked on both sides by similarly modest looking homes. Upon entering the gate we realized that the small frontage was merely an optical illusion. What the home lacked in width, it made up for in length. You see, a traditional home in this part of Romania starts out as a small structure near the road with only a few rooms. As the need arises, the homeowner adds rooms off the back of the existing structure. This long and narrow construction style necessitates a design philosophy that hallways are a waste of space. Adjacent rooms are connected directly to one another and traveling from one end of the house to the other requires walking through one room to get to the next. If weather permits, a less intrusive way of navigating the house is to exit through one of the many exterior doors along the driveway to reenter at the other end. The house we were sitting had two bedrooms and a study room at the end of the house nearest the road. The only bathroom and laundry area were next, roughly in the middle of the house. Finally, at the back of the house there was a living room, the kitchen and dining room, and a workshop area. Off the end of this last room was an open-air summer kitchen where, in the era before gas and electric cooking appliances, one would prepare meals when it was too hot to fire up the wood stove inside. Beyond the home there was an unused livestock barn and a small pasture. 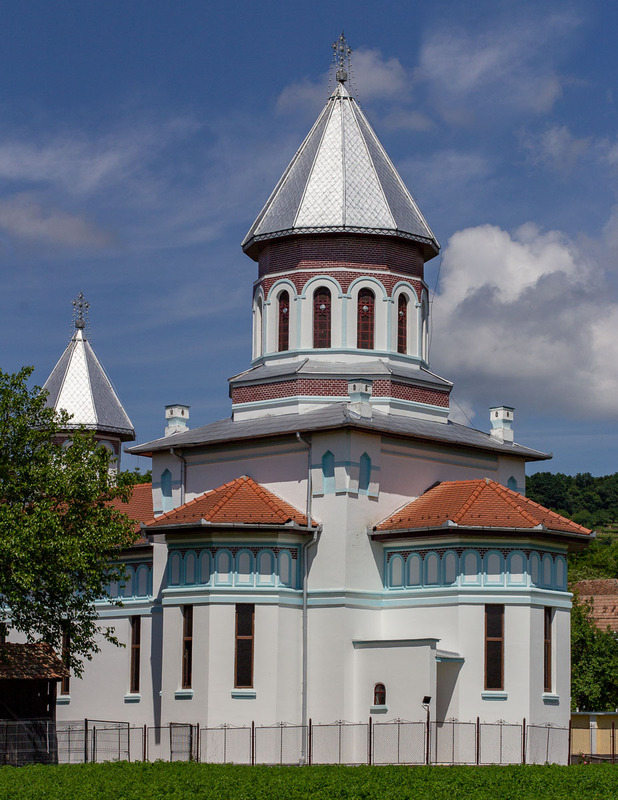 The public infrastructure of Blăjel is mostly in the 21st century. The electricity would go out on occasion, but normally for only a few minutes before coming back on. Internet connectivity was reliable and fast enough to stream video. Water and sewer are probably the furthest behind the times. Flushing toilet paper was not done and I refuse to go into any further details on that subject. The water out of the tap was potable, but since it had an unpleasant taste we were advised against drinking it. Fortunately the village had a spring where we would periodically go to fill up five liter jugs for our drinking water. 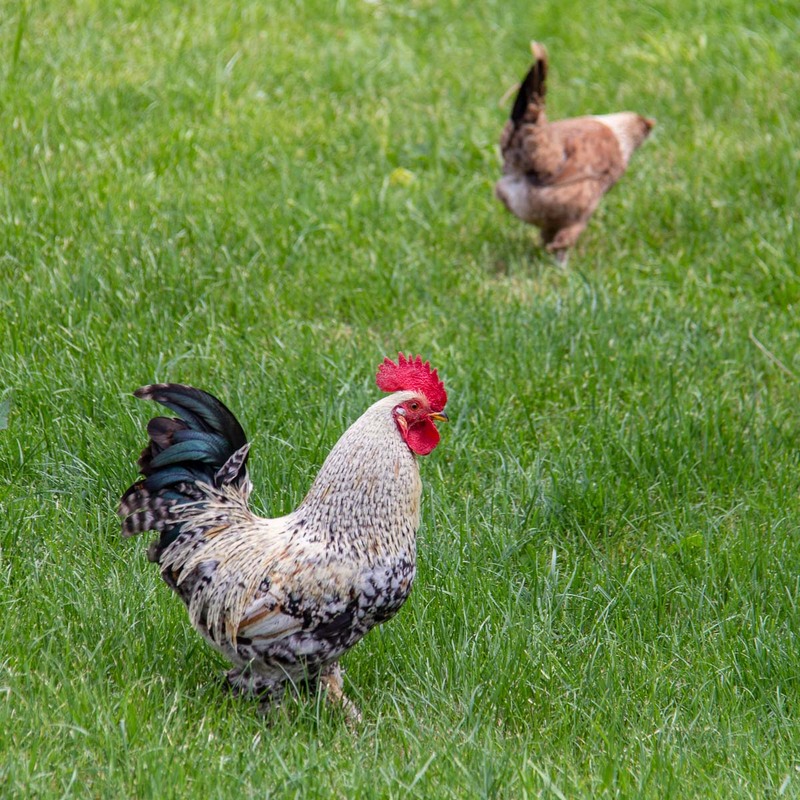 The required duties for this house-sit were very simple: feed the dogs twice a day and the chickens only in the morning, collect the eggs when we could find them, and keep the lawn mowed. The dogs didn’t require walks as they had the run of the property and the chickens fended for themselves by roosting in the trees at night and didn’t need to be locked up in a coop. The rest of the time was ours to do with as we pleased. I spent a few hours one afternoon walking around the village. Most everything is centered around the main highway, with the occasional secondary road leading into the surrounding hills. Most of these terminated in a dead end, forcing me to do a lot of backtracking. I found that despite the many homes and small farms in the village, there is little else. The requisite three churches are present: one Orthodox, one Catholic, and one Protestant, the last of which is no longer being used and has a for sale sign in front. There are no restaurants in the village, although I ran across a few boarded up storefronts where villagers used to be able to dine. Locals can take their afternoon coffee at a couple of cafes that serve only beverages and the occasional light snack. The convenience store in town does have a small selection of groceries, which was useful in a pinch, but most shopping must be done in nearby Mediaș. 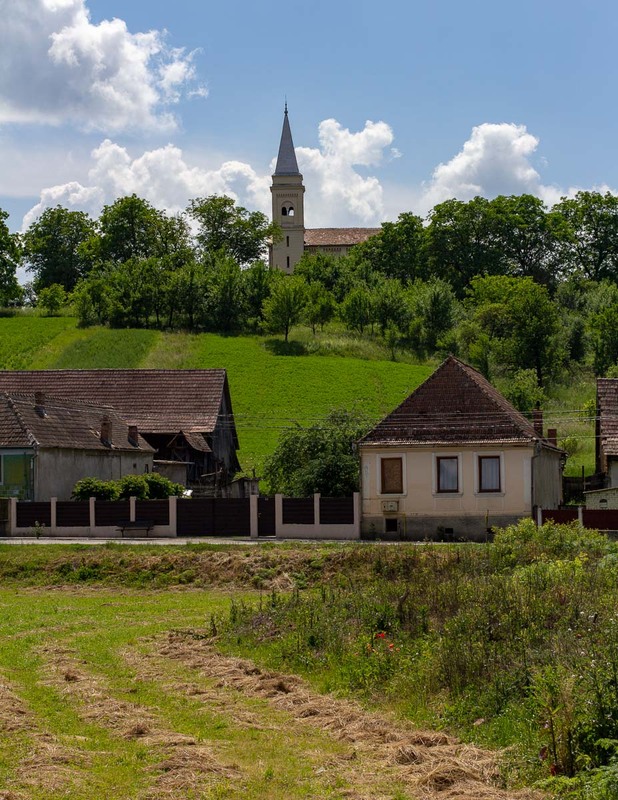 The nearest town of significant size is Mediaș, about 10 kilometers away. We would drive the 15 minutes into town at least a couple times a week for shopping, taking care of necessary things like haircuts, having a meal out, or just for a change of scenery. 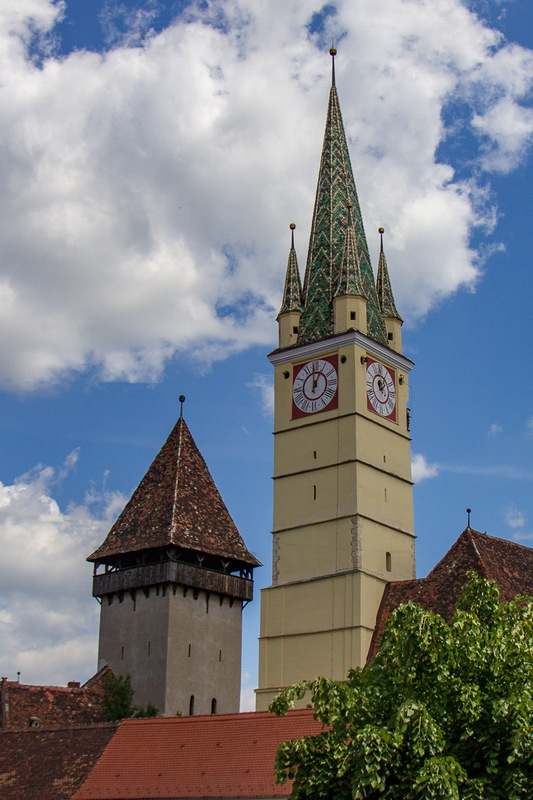 It has a well preserved town center worth an hour or two of exploration. The large main square is mostly closed off to automobile traffic and is surrounded by numerous restaurants, cafes, and shops with a grassy park in the middle. In addition to the typical supermarket chains, Mediaș has a daily open air market with stalls selling local produce, meats, and cheese. This is where we found our favorite local winery selling better than average wines in two liter PET bottles for next to nothing. The proprietor seemed pleasantly amused at how often we returned to replenish our supply. We spent a significant amount of time at the local campground in Blăjel, run by a Dutch couple. Not only did they speak good conversational English, quite often their guests did as well. This scratched a much needed social interaction itch that we were unable to get from the local population. The campground hosts would organize periodic outings for their guests and were kind enough to invite us along. One morning we traveled to the nearby village of Bazna for a brunch hosted by a local guesthouse. After brunch, we went on a walking tour of the village and learned that Bazna is well known in central and eastern Europe for its medicinal salt pools. 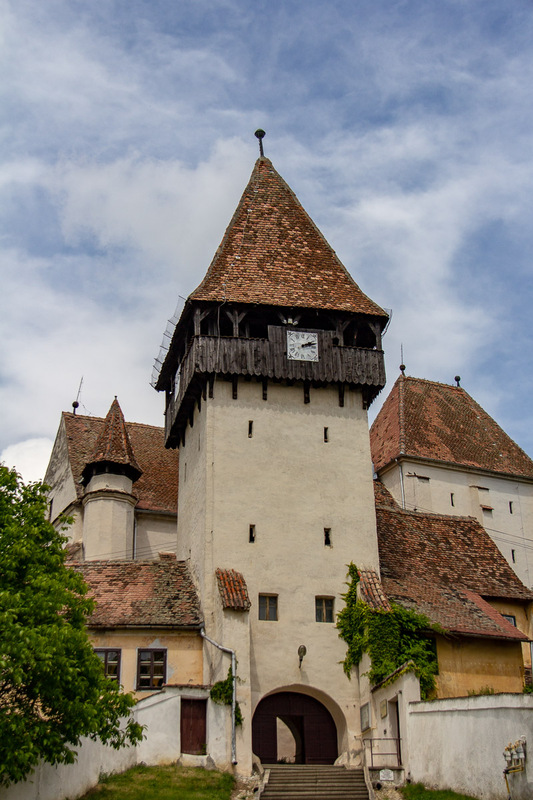 The tour explored the ruins of an Austrian Empire era spa and the fortified church in the center of town. 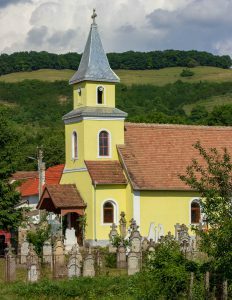 Another Sunday morning we were invited to attend what we thought was going to be a pipe organ concert at another nearby fortified church, this time in the village of Băgaciu. Upon arrival, we found that it was actually a full church service spoken entirely in German. Despite knowing just enough German to order ein bier und eine brezel in a Munich beer garden, we were still able to follow along well enough for it to be interesting. 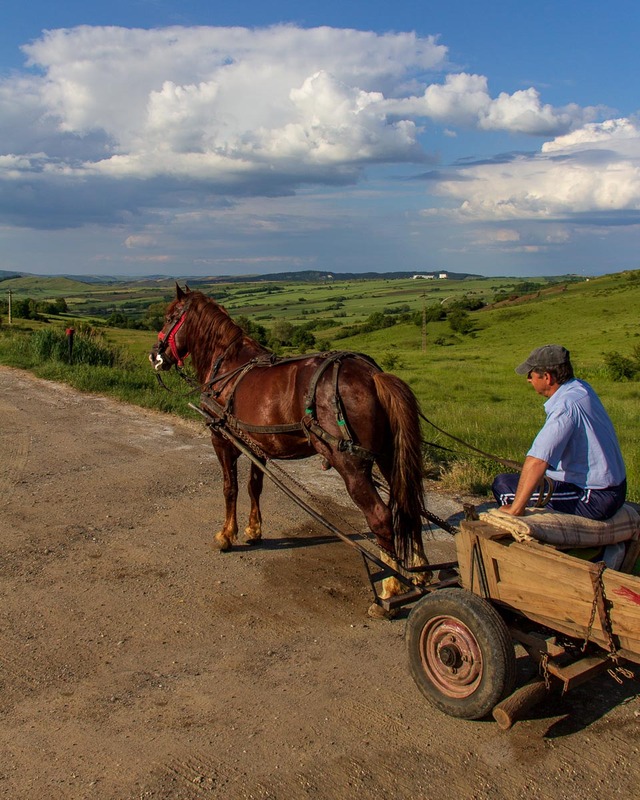 While driving around Transylvania, it is a common occurrence to see horse drawn carts carrying anything from produce, to scrap, or even local children on their way to and from school. One evening the campground hosts helped organize a tour of the surrounding countryside chauffeured by a local farmer. At the halfway point, we had dinner at a traditional Romanian restaurant. Not all of our local entertainment required leaving Blăjel. One evening we visited a winery in the village to sample their wine and liquor. The wines were a little too sweet for our liking, but we did walk away with bottles of cherry brandy and pălincă, a traditional spirit distilled from fermented plums. Finally on our last night in Blăjel there was a going away barbecue thrown in our honor. We hope to cross paths again with the many wonderful people we met on this chapter of our adventure.